Learn CSS, HTML and Responsive Web Design with Max Design's Russ Weakley. A collection of free Responsive Bootstrap templates - can be used for blogs, company or personal websites. 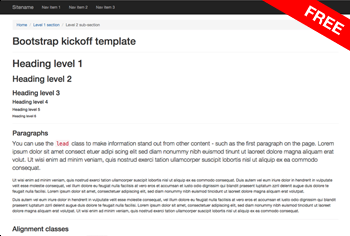 A basic Bootstrap 3 kickoff template. 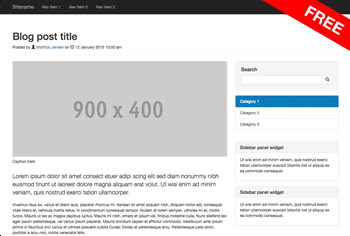 Download this template and use as-is without having to download additional Bootstrap resources. Similar to the basic Bootstrap 3 kickoff template, but with an image for the site logo. 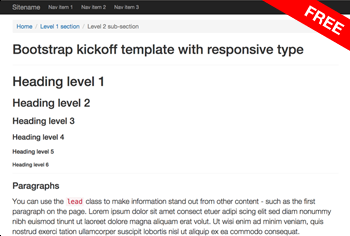 Similar to the basic Bootstrap 3 kickoff template, but with responsive type - the font-size increases in size as the viewport increases. 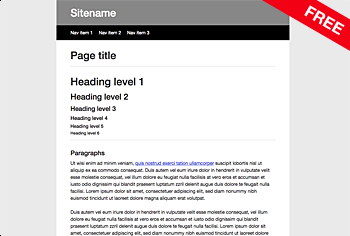 A simple bootstrap blog post template with right aligned sidebar. 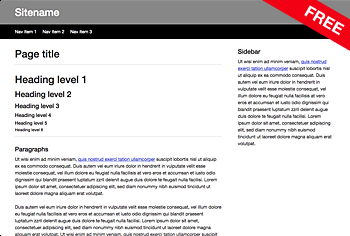 A simple bootstrap blog post template with left aligned sidebar. 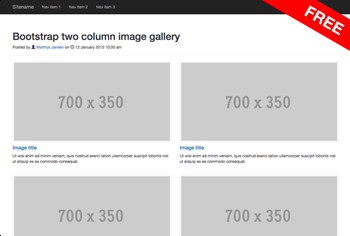 A simple bootstrap two column layout - that can be used for an image gallery. 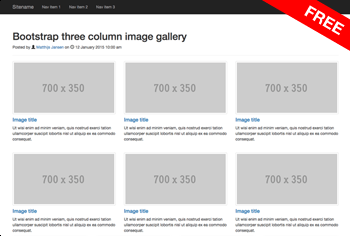 A simple bootstrap three column layout - that can be used for an image gallery. 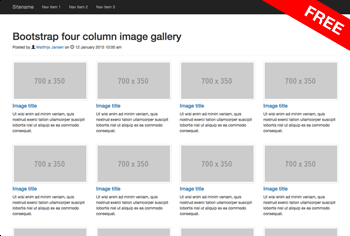 A simple bootstrap four column layout - that can be used for an image gallery. A simple bootstrap six column layout - that can be used for an image gallery. 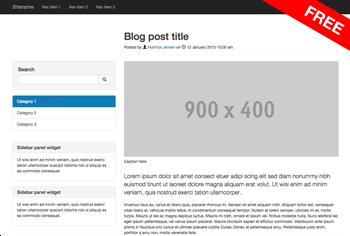 A one-column fixed-width responsive layout - that can be used for blogs and single column websites. A one-column full-width responsive layout - that can be used for blogs and single column websites. A two-column full width responsive layout - that can be used for blogs and single column websites. A three-column full-width responsive layout - that can be used for blogs and single column websites. A range of CSS slide decks and associated exercises for self-paced learning. This slide deck gives a quick overview of the W3C specification maturity process and the various levels of CSS. This slide deck takes a look at a range of terms that are commonly used when defining aspects of CSS. This slide deck answers some basic CSS questions: What is CSS? What are rulesets? How can you write CSS rules more efficiently? This slide deck explores a range of different methods that you can use to apply CSS to web documents. Simple selectors allow you to target HTML elements directly, as well as targeting elements that contain class or ID attributes. Combinators allow you to combine individual selectors into new types of selectors including Descendant Combinators, Child Selectors, Adjacent Sibling Selectors and General Sibling Selectors. This slide deck looks at how to style the :link and :visited pseudo-class selectors. The user-action pseudo-classes, :focus, :hover and :active, allow you to style elements based on the way that users interact with these elements. The :lang(c) selector targets any element that contains the lang attribute and the relevant language subtag value. The negation pseudo-class selector allows authors to target every element that doesn’t match the defined selector. Structural pseudo-classes allow you to select elements based on their position within the overall document structure. User interface pseudo-classes allow you to style various aspects of form-related elements. Pseudo-elements allow us to style "fake" elements, elements that do not exist in the document tree, such as ::first line, ::first letter, ::before and ::after. Attribute selectors are used to select elements based on their attributes or their attribute and values. CSS inheritance is where CSS properties are passed down from parent elements to descendant elements. Browsers often have to deal with situations where more than one declaration refers to the same element and property. But which declaration wins? The winner is determined by the rules of the cascade. 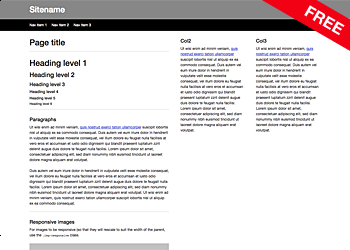 The CSS box model describes the rectangular boxes that are created for every element in the document tree. 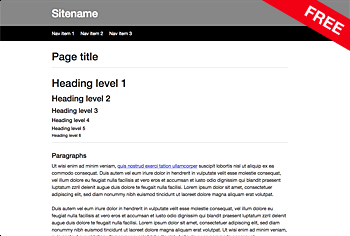 The position property specifies how HTML element are positioned. The possible values are: static, relative, absolute, fixed, and sticky. The top, right, bottom, and left properties allow authors to define the location of positioned elements. This slide deck looks at the z-index property as well as exploring the stacking context in depth. Before flexbox and grids were introduced, floats were the best method available for laying out web components and layouts. Although floats seem simple, they can be very frustrating for those who do not understand the finer details. The block formatting context is important to understand as it affects aspects of the layout including floats, clear, and margins. This slide deck will give you a basic understanding of the W3C property/value syntax. This will help you understand the various W3C CSS Specifications. The color property sets the foreground color value of an element’s text content. It also sets the color of the text decoration unless the <'text-decoration-color'> is specifically defined by the user. The CSS3 box-shadow property allows you to apply one or more shadows to any box - including outer and inner box shadows. CSS line-height is one of the fundamentals of CSS. It can be used to make content easier to read and comprehend, control the vertical rhythm of layouts and can even be used to center content vertically. Simplex is a simple, flexible component library that can be used to build complex websites and applications. Simplex uses BEM and OOCSS principles, and aims is to: define base HTML element styles; define a series of re-usable components; define a series of simple and flexible utility classes; define a simple grid system. A series of recent presentations on Accessibility, CSS, Design Systems and more. What is accessibility and why should we care? This presentation covers; different types of disabilities, assistive technologies, legal and ethical responsibilities as well as a range of terms such as W3C, WAI and WCAG. In the old days, many developers looked at complex websites and web applications as a series of individual pages. These days, it’s all about abstraction. Come on a journey as we explore the pain and glory of baking accessibility into UX, design and front-end pattern libraries. This presentation will take a deep dive into how to create an auto-complete ssearch function that is accessible to a range of different users including keyboard-only and screen reader users. Along the way, we will explore important keystrokes and aria attributes that can be used enhance the experience for all users. This presentation for Inclusive Design 24 (#ID24) explores how to create accessible, usable "floating" labels. Floating labels are where the label moves above form controls based on user interaction. A quick slide deck that outlines a range of pointers that can be used to help make button dropdowns more accessible. Have you ever tried to style checkboxes or radio buttons and ended up pulling your hair out? This presentation will explore a few simple tricks that can be used to style checkboxes and radio buttons. In this case, we will make them look like an on/off switch. At first glance, CSS line-height seems very simple, but there is a lot going on below the surface. Line-height is important for any designer or front end developer to understand as it can impact almost every aspect of our layouts. So, you've built an amazing new web application. It uses all the latest frameworks and libraries. It's beautiful to behold. But is it accessible? Many web applications these days are built on top of pre-existing frameworks or code bases and there is little thought to how well these components will work for different assistive devices. A quick presentation on some of the potential issues with using any framework. The presentation will explore the use of WAI-ARIA and the aria-live property to alert screen readers to changes in the DOM. The presentation will also look at support for aria-live across various screen readers and how the property can be most effectively used today.